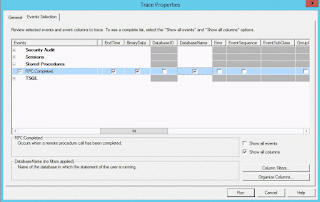 “How to SQL Server Profiler Trace events only a Specific database”? 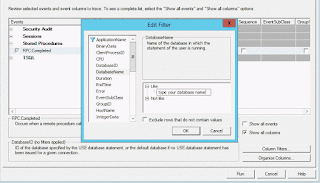 In this post, I am sharing to the “SQL Server Profiler Trace events only a specific database” step by step with YouTube video link. It is very helpful to me and you also. 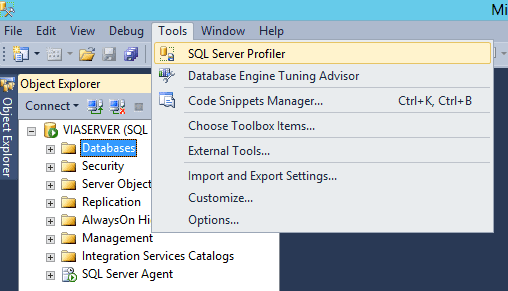 Actually, I always forget how to configure SQL Server Profiler to trace only a specific database. 2. Click on the “New Trace”. 3. 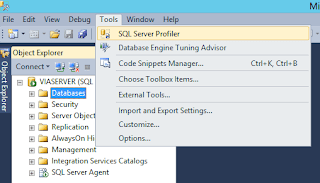 Connect to your “Database Server” for Trace. 4. 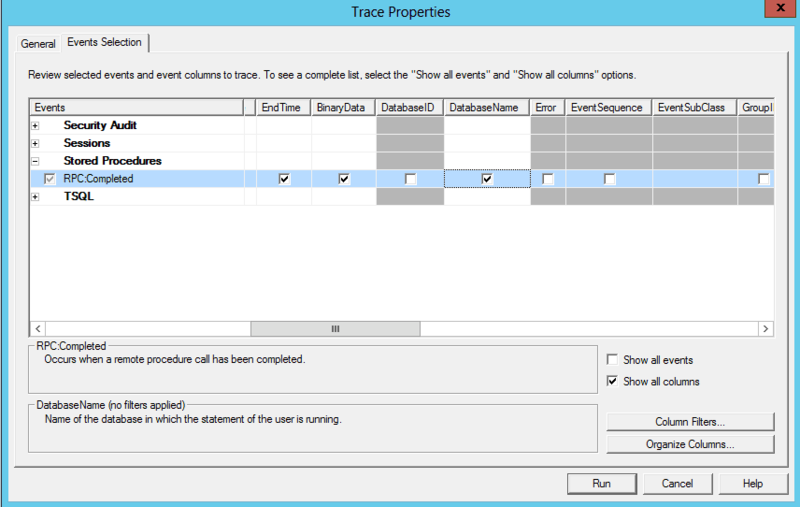 The “Trace Properties” window and after click “Events Selection” tab. 5. 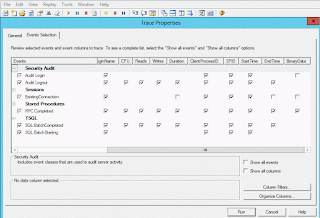 Click on check the checkbox “Select all columns” options. 6. 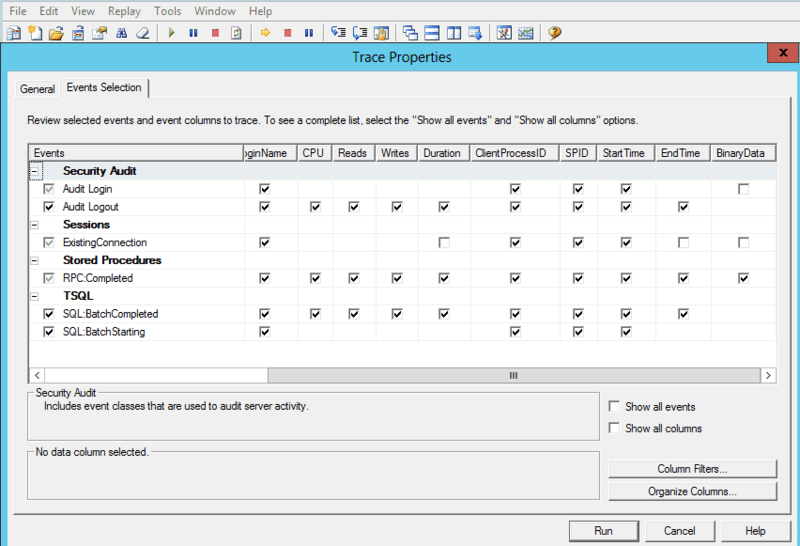 And after scroll event trace window on right side and find the database “column name”. 7. 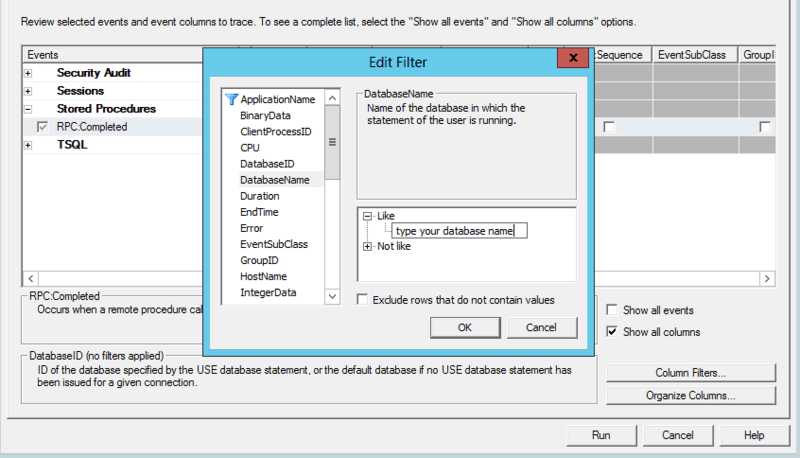 And after click on “database name” check box to trace the events like Session, Store Procedure and T-SQL etc. 8. And after click on “Column Filters..” button and open the “Edit Filter” popups. 9. And after click on “database name” filter text. 10. And after click on “like” text and add your “database name” for tracing the events. 11. And click on Edit Filter “Ok” button. 12. And click on “Run” button o “Trace Property” window. 13. Finally, see the result on the “Untitled -1” window.